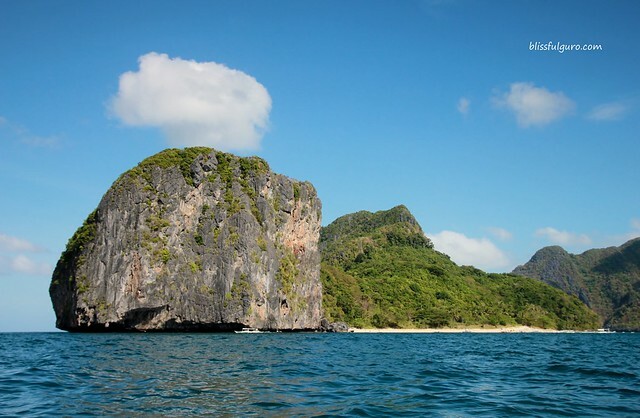 El Nido is very famous for the island hopping tours. 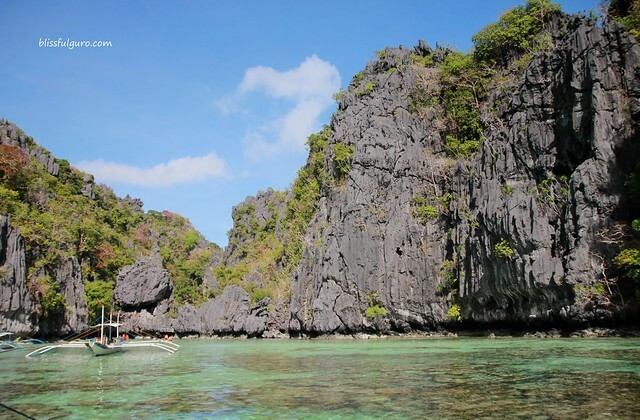 You haven't been to El Nido if you haven't experienced any of the offered tours. 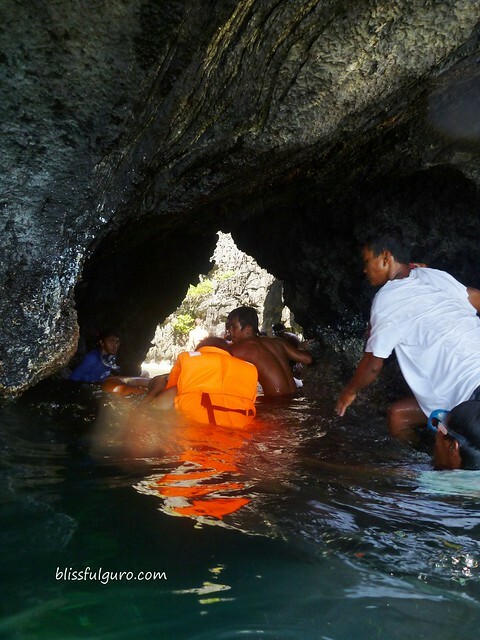 The tours are divided into 4 different clusters that offer different islands, beaches, lagoons and snorkel sites. And what's good about it is that all of the accredited agencies have the same rates. The tricky part are the inclusions. Almost all of them have free lunch, you just have to be clear about that or you'll be stranded in an island with no food or anything to drink. Another thing, be clear about the snorkel sets because some will include it in the package while some won't. You should ask them beforehand to be sure. 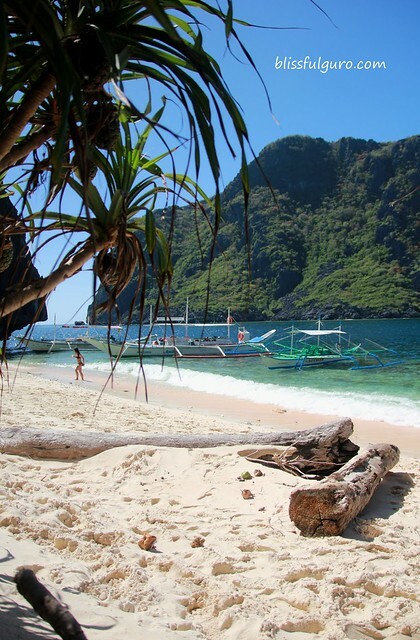 A snorkel set can be rented anywhere in the town for 100 to 150 pesos per day. Inclusions - lunch, mask and snorkel. Ideal time - 9:00 a.m. to 4:00 p.m. Thank you Ate Neriza for being so nice to me and Jay. 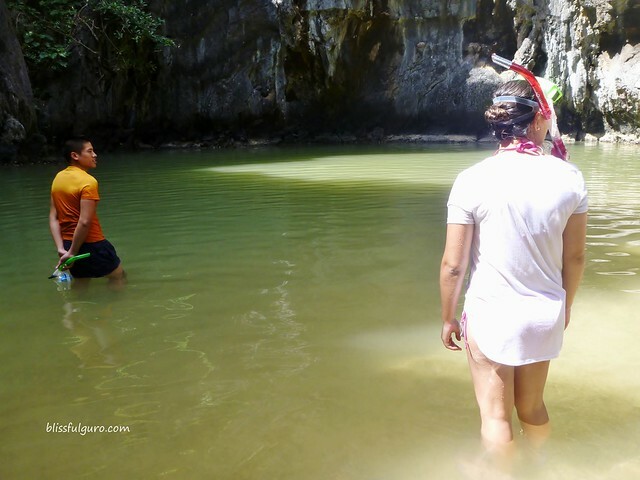 The first day of our trip was spent on getting to El Nido from Puerto Princesa while our island hopping tour that was booked on the second day was cancelled due to the bad weather but it paved way for us to visit the twin beaches of Nacpan and Calitang. 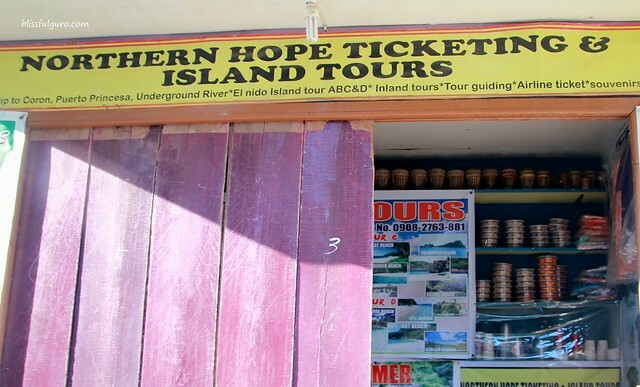 Two days went by and we haven't experienced any island hopping tour. So on our third day we were scheduled for our first tour. Again, and becoming a bad habit, I didn't get to research on what those packaged tours include (although I learned that tours A and C are the most popular) so I wasn't expecting anything. I was just hoping for a fair weather that day. We were at the meeting point on the boat docking area on Bacuit Bay (just right outside our inn) at around 8:45 a.m. for our 9:00 a.m. call time. 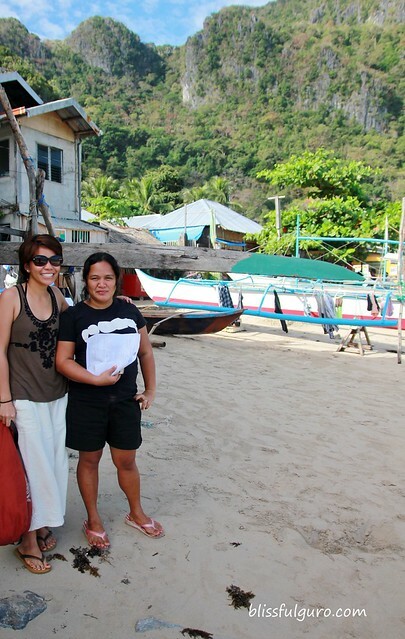 We paid 200 pesos for the Eco-Tourism Development fund that is valid for 10 days for all the island hopping tours. There were 16 of us in the boat that day for the Tour C - 13 guests and 3 boatmen. Me and J were the only Filipinos amongst all the guests. We get to meet some of them during the course of the trip. 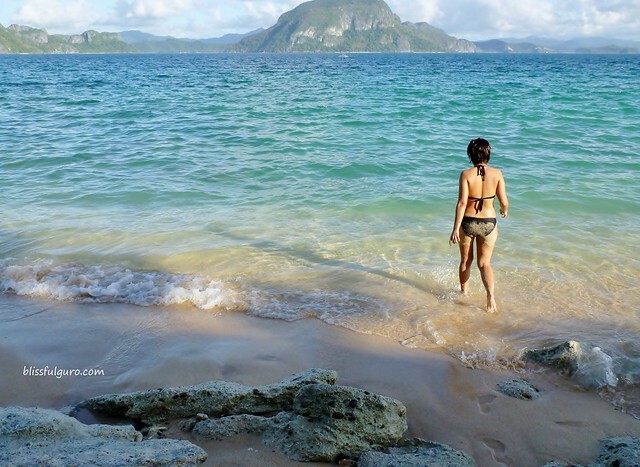 TIP: Aqua shoes is definitely a must when you island hop. Or else, your feet will suffer. Trust me. First stop was the Matinloc shrine. It took us an hour to get to the first site. They say that some missionaries developed the place and the locals were the ones who took care of it. But then again, maybe because of its location, it looked like it was already abandoned. We went up to the viewing deck to have a better view of the area. 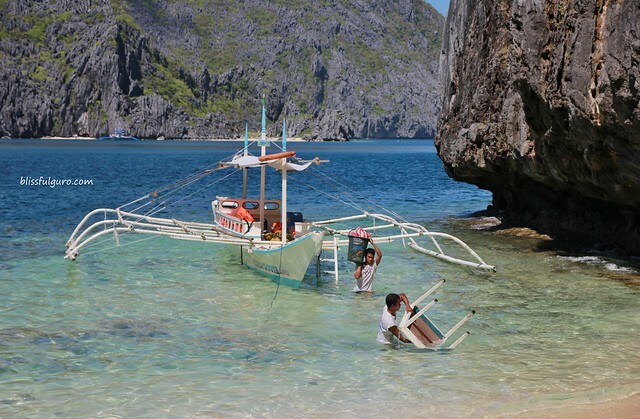 As if the boatmen could read our minds he told us that the next stop will be the lunch area, a beach near the Matinloc shrine. 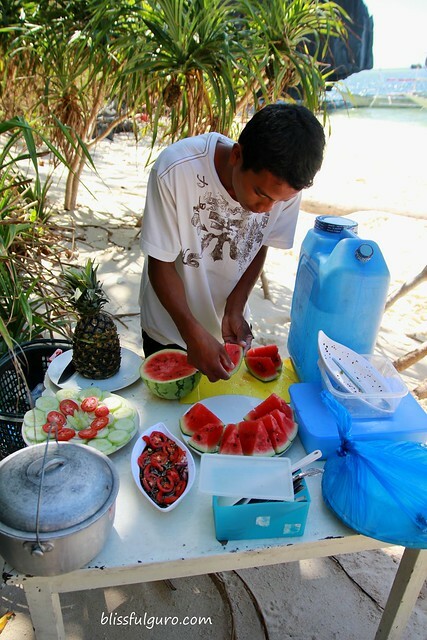 Our boat docked on Talisay beach and they unloaded the food to be prepared and cooked on the beach. How cool can that be? They could've brought some pre-cooked meals but this was part of the experience. All of the guests bathed in the midnoon sun but us. Quota na kami sa tan. We stayed with our boatmen and chatted with them. They usually prepare the food right in front of you. You could see how passionate they are on preparing it (or is it just our boatmen?). After an hour, we feasted on some grilled pork and chicken, steamed rice, vegetable salad and fresh fruits. The lunch also included free purified drinking water and fresh buko juice from young coconuts. We finished everything and it seemed like we all had fun feasting on the beach. It was really part of the trip. We were delighted on how the foreign guests loved the food prepared for us. After the lunch feast we had siesta went to the Secret beach. We were asked to swim on a small opening to get to the beach. Sounds easy right? The foreign guests went in first, all of them didn't wear life vests. And then my turn. I was the last one to enter the secret beach. I jumped from the boat (without a vest, eherm) and paddled hard to get near the opening. I underestimated the undercurrent, it was so strong. It was really difficult to get inside. 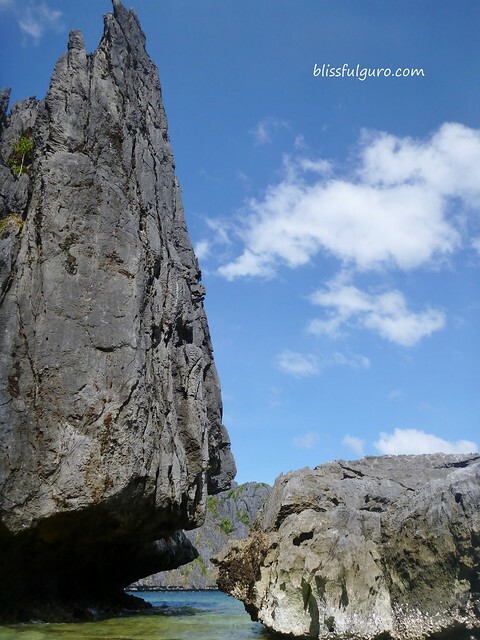 One huge wave and your head can hit the huge rocks - buwis-buhay. And then we got inside the Secret beach. We didn't get so much time to explore the place. We were so engrossed on how we went there and all we did was talk about it. Going outside is another story. We then went to Helicopter Island for "relaxation" as stressed by our boatman. There were no secret or hidden on its name so it's definitely time for beach bumming. The island was called "Helicopter" 'coz it looked like one according to them. But it looked like a dinosaur lying sideways from my point of view. There were loads of people when we got there so we looked for our spot at the farthest end of the island. Next should be the Hidden beach but due to the strong waves and current, we didn't get to go there but went to Paradise island instead. We saw some campers doing their own version of Survivor there. Apparently, you can arrange for such set-up. You can stay there overnight with a guide. We were at Bacuit Bay at 5:00 p.m. Yes we were very tired and famished (even after the lunch feast) and decided to look for a place to have early dinner and a couple of beers. At 10:00 p.m. we called it a day. We needed to be early for the tour the next day. According to some travellers, if you could only do one tour it should be the Tour A. Again, I don't even have any idea on what to expect on this tour. Sometimes it's better that way. Experience it yourself rather than reading or researching thoroughly and expecting to feel the same way as the traveler felt (excuses, excuses). 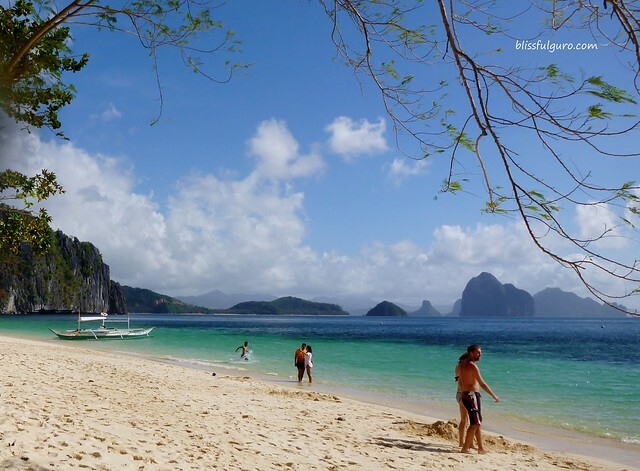 It was our fourth and last day in El Nido. 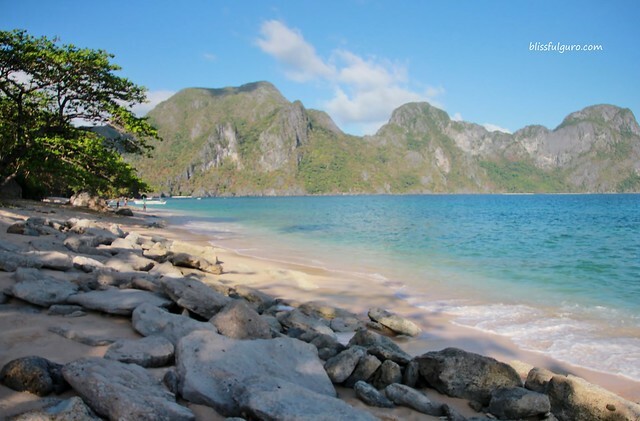 As much as we want to spend our fifth day there, we pre-booked a hotel in Puerto Princesa hence, we need to be there before the clock strikes midnight - pfft. We had our morning coffee and bread on the same store for three days. We were at the meeting point at 9:00 a.m. When we got into our assigned boat we were surprised to see the couple, Julien and Adeline, from the tour C yesterday. And much to our surprise, there were only 4 of us for that trip. Julien felt like it was a private tour. It gave us time to get to know them. They are French couple which are based in South Korea because of work. It's their first time to visit the Philippines and they fell in love with it. They kept on asking me about certain places in the country. And I was so ecstatic to share some of the places I've been to. They told us how lucky we are to live in the Philippines. It felt good to hear such words. First stop was the Small Lagoon. It was, well, a lagoon where you need to pass thru a small opening to reveal the said lagoon - it wasn't as challenging as the Secret beach though. Again, an aqua shoes is a must - Julien and Adeline were so envious with ours. Corals and some fish are right outside the lagoon. Just be careful with the sharp rocks. And then there's the Big Lagoon. 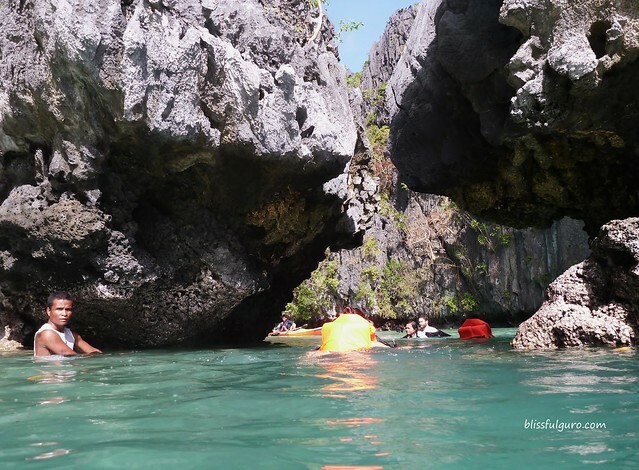 Unlike in the Small lagoon, you can pass by the Big Lagoon effortlessly. 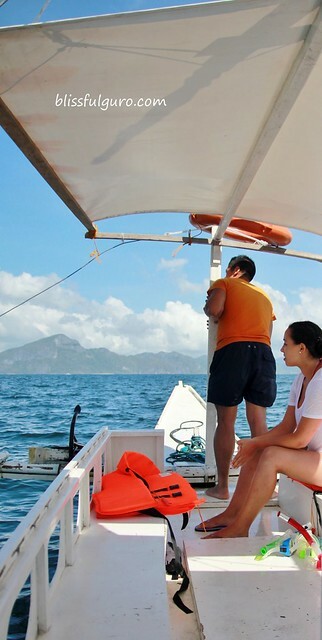 Just make sure that you don't get to swim without the supervision of your boatman because the undercurrent can be strong at times. 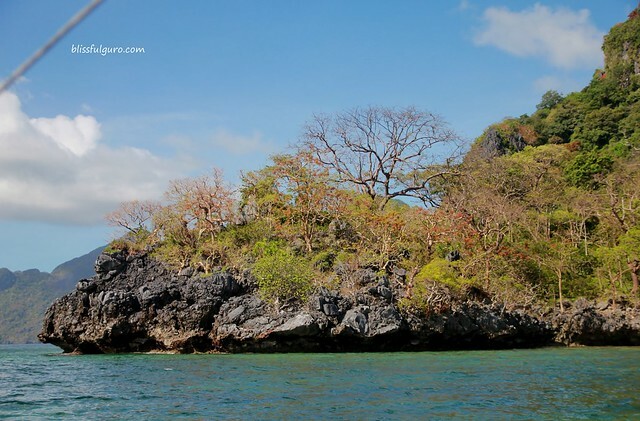 What I loved about this spot is the long walk we did from the boat to the lagoon. I guess you can only do that during low tide. 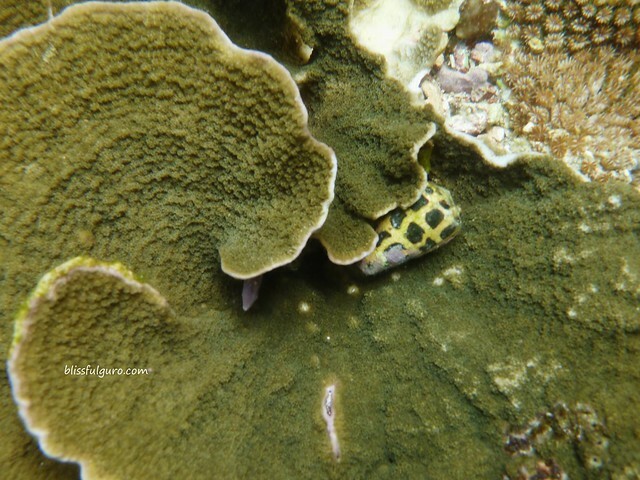 And also, bring your snorkel set with you 'coz there are some corals, fish and some plants along the way. Please be careful with the sea urchins though. 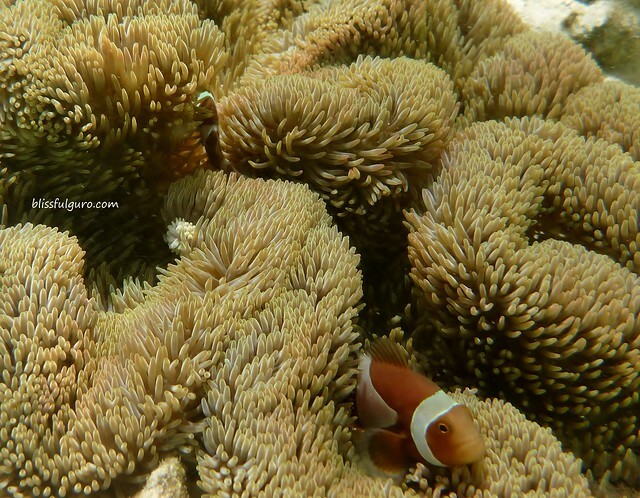 And when we were about to leave I shrieked when I saw a very familiar creature and then I shouted, "Guys it's Nemo!". 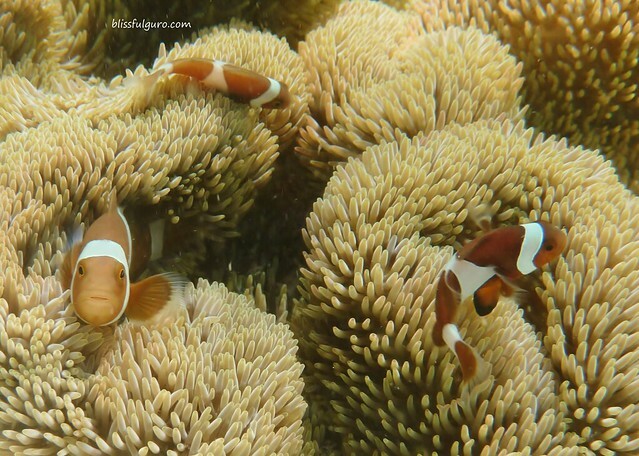 They all came to see a bunch of clown fish there. After that, we passed by the famous Miniloc Island Resort. 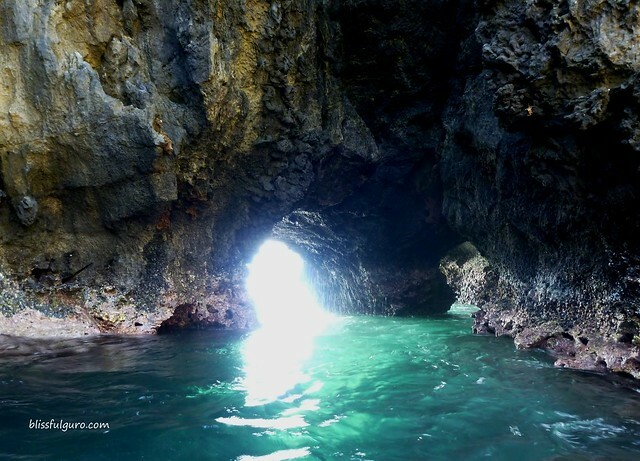 And off we go to the Secret Lagoon - they really love hidden and secret stuff eh? Again, we needed to crawl on a small opening to get inside the lagoon - but not death-defying like the Secret beach (now I'm getting confused with the names). And when we were inside Julien gasped and said, "Tell me this is man-made...", he just couldn't believe that it's all nature. And then he saw a gecko and I needed to mimic its sound for him to know what kind of lizard that is. After those three lagoons, we were hungry of course. Our boatman headed to the nearby island (which I thought to be the Shimizu island but not) where they prepared our foursome feast but this time they prepared it inside this small packet of sand surrounded by huge limestones. We then called it the Secret Restaurant. Julien: This pork is yummy. Adeline: I think it's the marinade or something. Julien: Yes, this is so great... What do you call this thing? 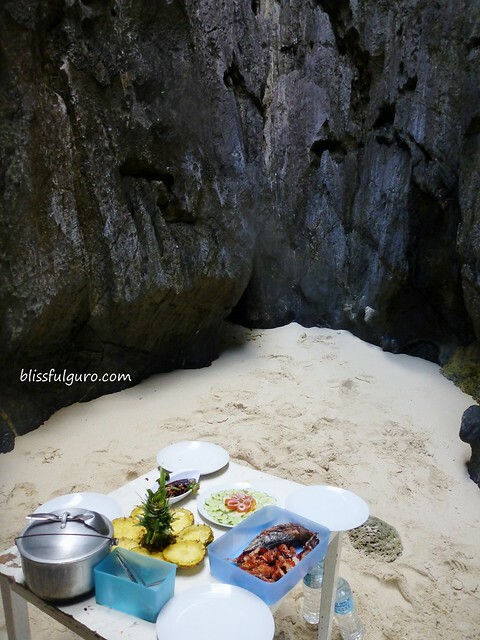 And then they continued with a story about their very first meal in El Nido. Without asking anyone about what it is, they ordered Crispy Pata recognizing the word "crispy". They were enjoying it up until they saw the claws and the nails and then they realized what it was. We all laughed and then I told them to try Sisig next time. The last stop was the Seven Commandos Beach. And so I thought it's a naked beach. Oh forget about it. This was the last stop for the tour. Our boatmen told us that it was "relaxation" time. Nice. 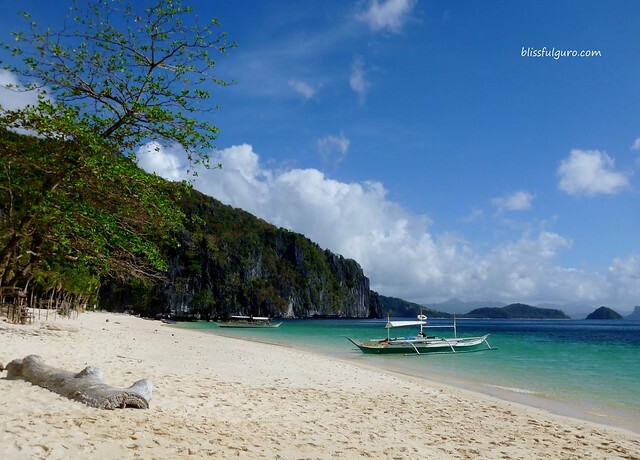 The island boasts a long stretch of powdery ivory-colored sand and please don't let me compare it to Boracay. There was a construction on the site. It looks like they're building a view deck or something. There's also a store where you can buy some snacks and drinks - an ice cold beer would be perfect. We spent our last few hours on this beach. We basked in the sun and spent time doing nothing. The pleasure of doing nothing. And then the time came. We were at the Bacuit Bay at around 4:00 p.m. After exchanging contact details with Julien and Adeline we hurriedly went to the lodge. Fixed our stuff, went to Ate Neriza's house and bid farewell with a promise to be back again in the near future (next year? agad?). I stopped by Midtown's Bakery and got myself an eggpie (for the nth time) and walked our way out to the public market to catch the 6:00 p.m. RoRo aircon bus to Puerto Princesa we paid 483 pesos (386 pesos for students like me - ang lakas maka-sixteen!). We reserved our seats few days prior the trip by the way. The bus left on time which was great. I stayed at the right side of the bus and got a great view of El Nido sunset - the best way to end our 4-day stint in El Nido. We arrived at Puerto Princesa at 11:40 p.m. - same day. Whew! If you're asking me of my favorite tour it would be the Tour A. I dunno if it's because of the sites or the intimate group of four but I really enjoyed it more than Tour C. If you just have to do only one tour just go for Tour A. 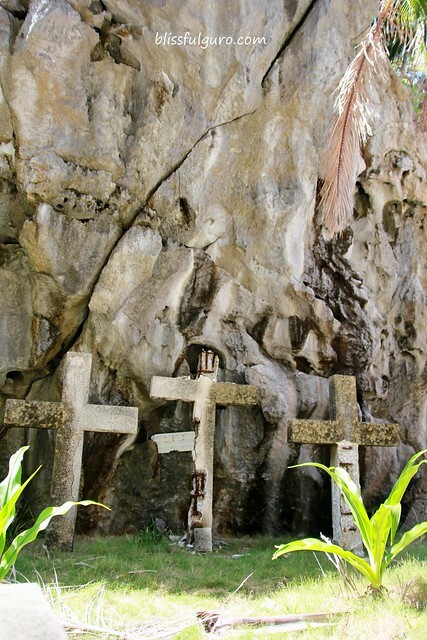 Or ask Ate Neriza about the Combination tours. 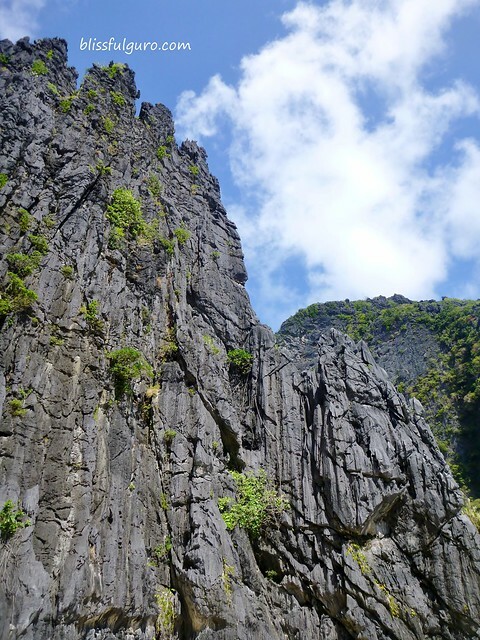 Having been to one of the most coveted towns in Palawan made me realize so many things. One is that the thought of traveling this far is expensive is so not true. 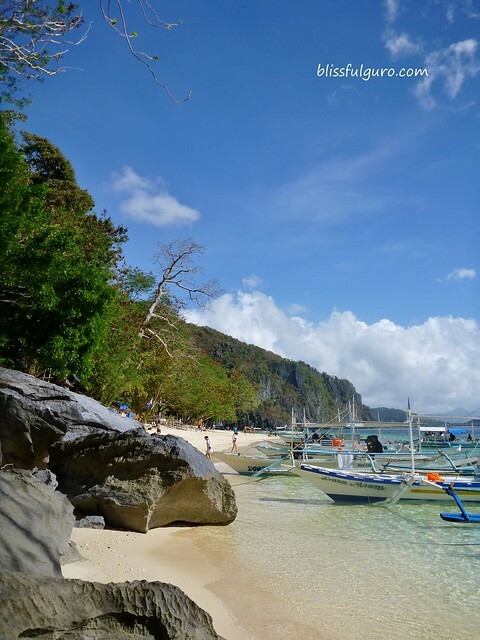 Maybe because people often connect El Nido (the town) to the posh island resorts in the area. Another is that foreign guests really regard the Filipinos, in general, as one of the nicest people in Asia (or the world perhaps). When you are in a place where foreign tourists are far more than the local ones you get to appreciate your country, your heritage, your roots. Maybe because they find your country amazing despite and inspite of everything which makes you feel proud. Or maybe it's just me. 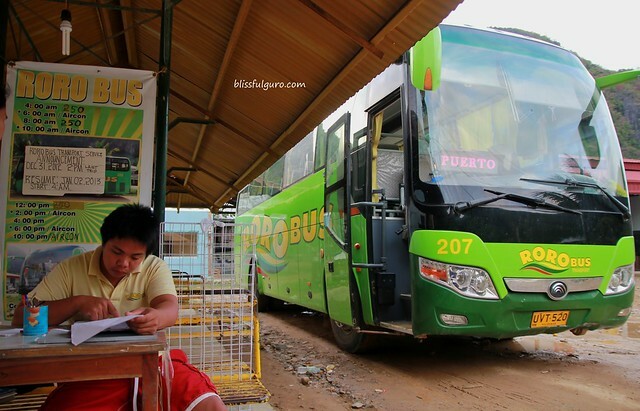 Asking me if I would still want to endure the 7-hour bus ride to El Nido from Puerto Princesa? Hell yeah! Ang ganda ng mga shots mo. 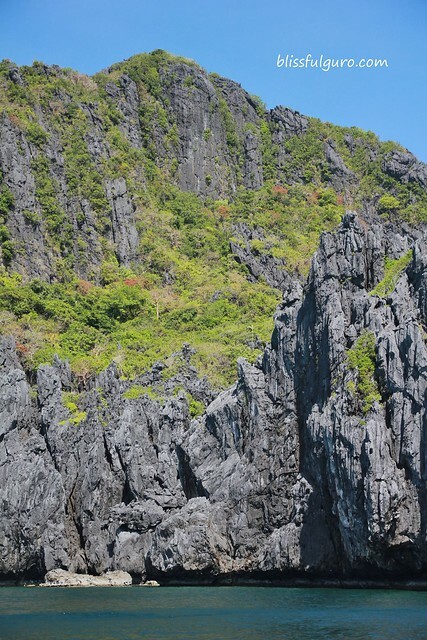 gusto ko mag-El Nido ulit! tama ka manong. ganda talaga! haha! ako din. ako nga hindi ko nakita ang alternative e. yun din ang gusto kong balikan. nainggit ako kay mica. hahah! ganda nga ng shots mo. 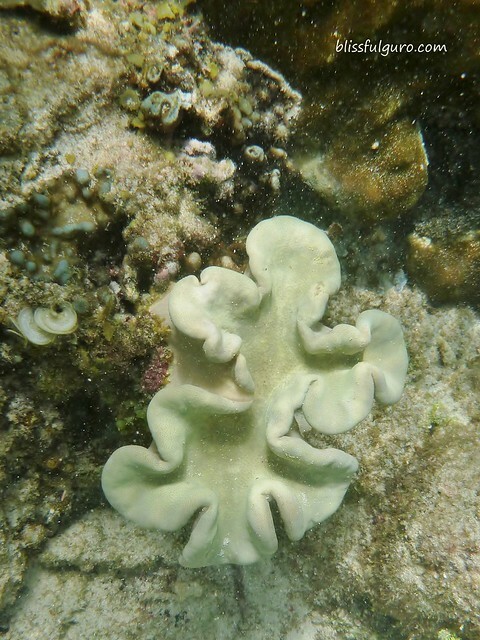 si marx na lang walang underwater cam. buyuin natin. hahah! hahah! ^_^ tingin ako dali. uy tuloy ba tayo next week? next week na yung batangas natin a. kailangan ko mag-prepare ng damit damit. Tour A is also my favorite. 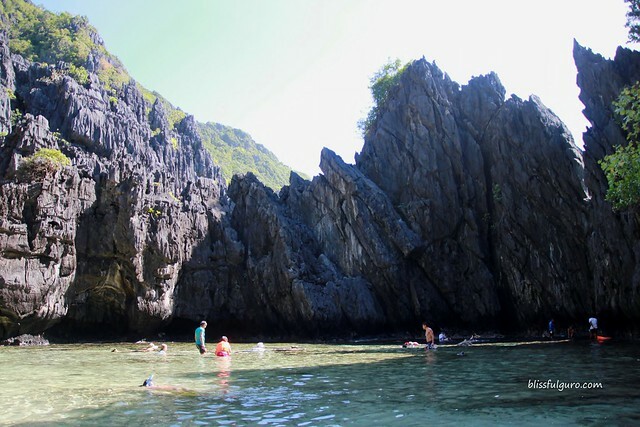 sulit talaga ang pagpunta sa El Nido at lalo na pag umabot sa mga lugar na buhay pa ang mga corals. ganda ng panahon nung nandun kayo. 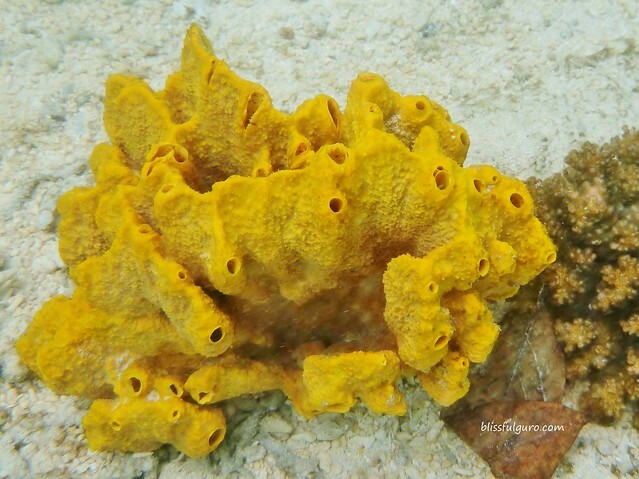 yan ang next target ko dom, ang hanapin ang bonggang corals... maganda nung last 2 days pero nung unang 2 araw bagyo talaga. whew! 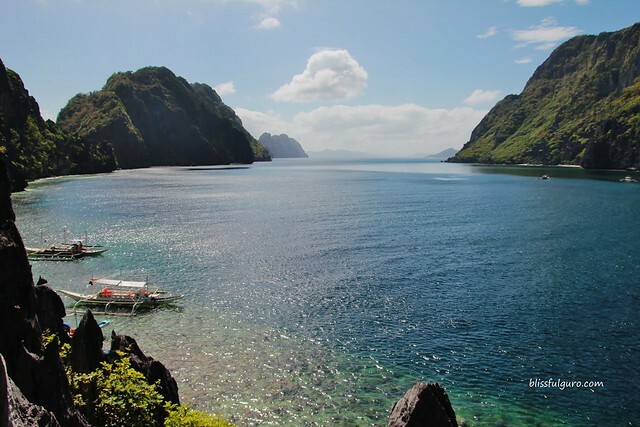 ahh el nido!!! :( Inggit ako. 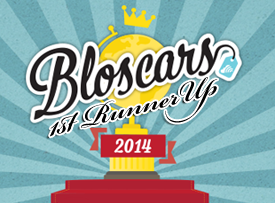 Sana makapunta ako dito this year or next year. Lovely lovely photos as always! hi shugah! 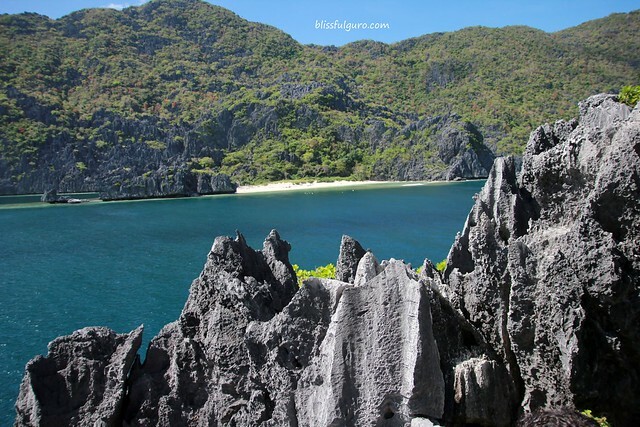 go go go el nido! It looks like you guys had fun! It's such a beautiful place. Hi! Great pics! What underwater camera are you using? 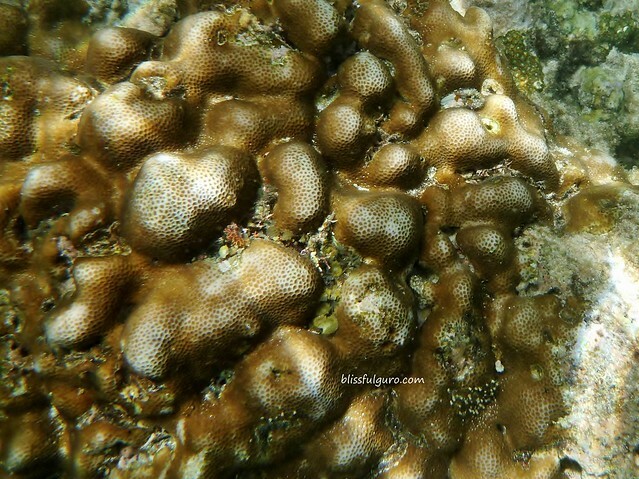 ang sarap balik-balikan at mapuntahan ang lahat ng isla sa bacuit Bay...ganda ng underwater shots! 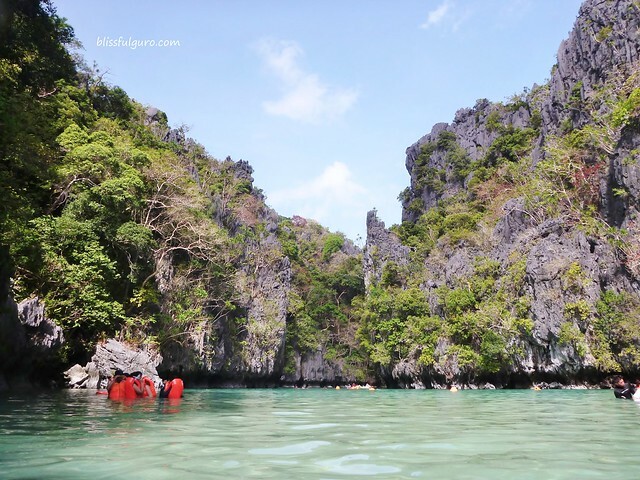 I got a lot of tips for an El Nido trip! Everything is noted. It's really not that expensive and its truly a beauty of nature. 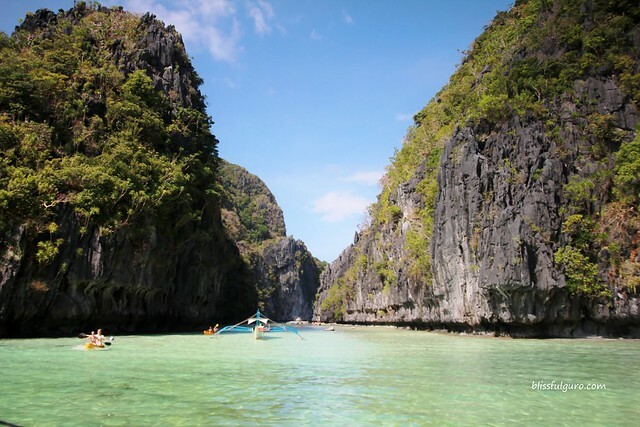 I'll definitely visit this place of Palawan in the future. 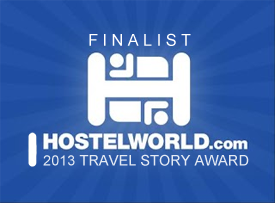 Great travel store shared! it is such an amazing place. 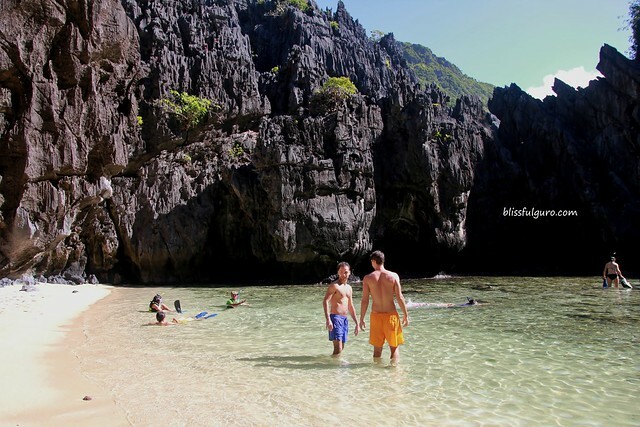 i encourage everyone to go to el nido! go na ephraim! Hi! Just wanna ask, what underwater camera did you use? :) Loved your pictures btw! Great article and informative. Looking forward to my trip in a month or so. Thanks for the tour tips. Hi im going there alone ok lang ba? 4 days ako dun eh?